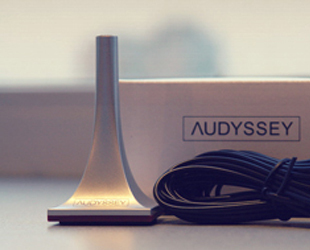 Deliver your music to any room of your house and your back yard from the touch of a button. With streaming music from Pandora, SiriusXM, tunein, Rhapsody, iTunes, and much more, you will never run out of music options. Install high-quality speakers from Definitive Technology or DALI and listen to your music like never before. 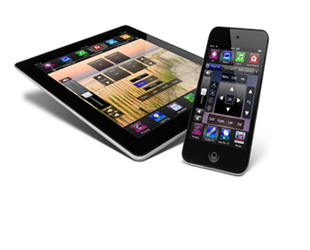 Home automation puts the power of controlling the electronics in your home from one reliable and easy-to-use interface from your tablet or smartphone. 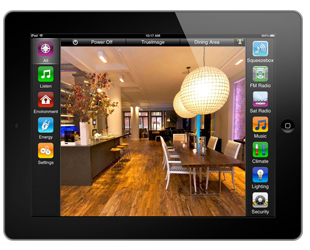 You can operate the entertainment system, security, lights, thermostats, shades and more from anywhere in the world. Get text messages automatically when you’re kids get home, close the garage door if you forgot to close it and so much more. 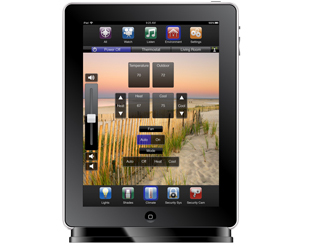 Home Automation from Savant and Control4 makes it easy. Home Theater Evolutions offers ‘turn key’ home theater packages as well as custom packages to tailor to each individual’s needs and budget. We can design and engineer a theater for a small intimate room to a dedicated high-end theater with acoustic paneling, earth shattering sound and 4K curved screen that will transform the movie to real-life. 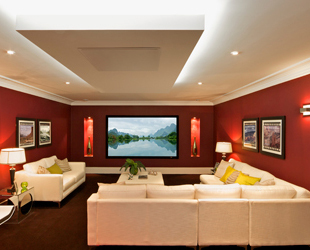 Let us provide you with an in-home consultation to discuss your home theater goals in any room of the house. Don’t want to see the speakers hanging on the wall? We can hide those. Don’t want to see the projector hang from the ceiling? No problem, we can hide that. 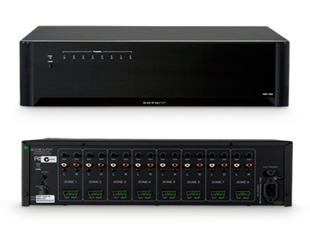 Lutron connectivity offers fluid, reliable control of a single room or an entire building. 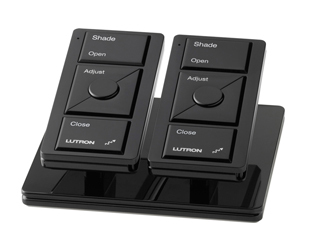 From the easy communication of Maestro Wireless® controls to the sophisticated, high-level integration of a HomeWorks® system, Lutron products connect seamlessly and reliably with one another. As part of a complete control and energy management system, a sophisticated wireless thermostat and remote sensors allow for resourceful automated temperature management that can help to lower utility costs and maximize energy efficiencies throughout a home or building. 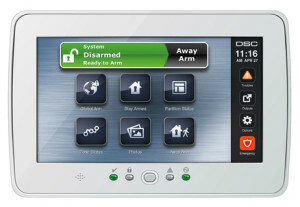 Lock your front door, set alarm system and monitor it all from anywhere in the world right from your smart phone. When you integrate your security system with your home automation then your security system can turn on your lights, turn off your HVAC and trigger other events to make your home as safe as possible. 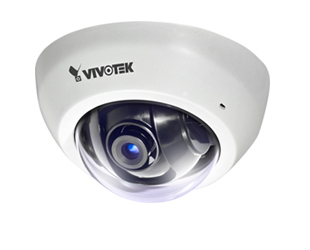 The best way to prevent a break in is to deter the thief and there’s no better way to do it than with a fully integrated security system. Home Theater Evolutions can put together a package of switches, routers, wireless access points, low-profile in-ceiling wireless access points, and wireless accessories to compliment your home automation system, allowing you to have control no matter where you are in your home. The Savant SmartEnergy Monitoring solution measures and reports on energy usage and production in real-time enabling users to reduce consumption and conserve resources. 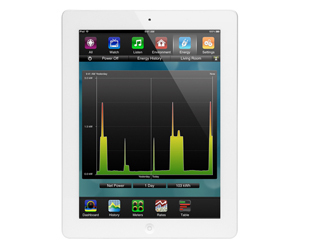 Homeowners can now track data on electricity usage and cost by connecting SmartEnergy Monitoring equipment to any electrical panel. Making adjustments until your TV “looks good” only goes so far. It takes specialized training and equipment to fully calibrate these sophisticated devices based on your viewing area. That’s where Home Theater Evolutions’ Professional Video Calibration can help. Our highly trained, Service Specialists will apply the latest tools and techniques to create the most true-to-life high-definition experience for you.